Generally, when it comes to movies, I’m not a fan of the bait and switch. How frustrating it is to go to a movie expecting to see one thing, and having the film be something else entirely. But in the case of Hugo, I found the bait and switch a pleasant, and exciting, surprise. Yes, that’s right: Hugo is not the children’s movie it’s being marketed to be. Rather, it’s a film that celebrates filmmaking and makes a strong case for preserving the films of our past, the ones that laid the foundation for the movies of today. The filmmaker behind this cinematic call to arms is none other than Martin Scorsese, who has made one of the most beautiful films of his career, and surely one of the best of this year. 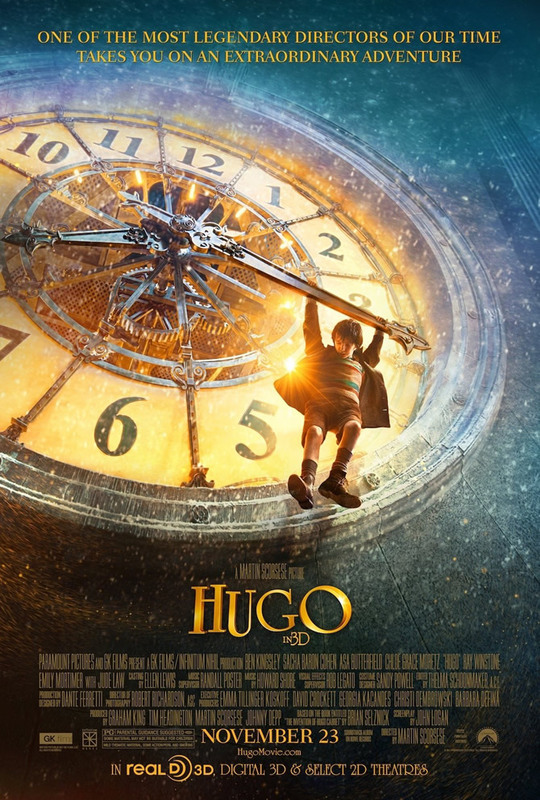 Hugo tells the story of a young boy (Asa Butterfield) who lives secretly in the walls of a train station in Paris. There, he takes care of the clocks, forages for food, avoids the station’s manager of security (Sacha Baron Cohen), and steals mechanical parts that he needs to repair his late father’s automaton. 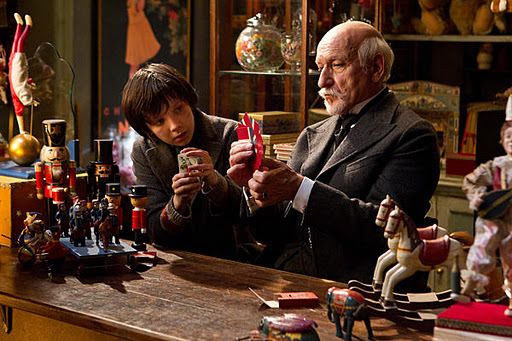 In so doing, he meets a mysterious toy shop owner (Ben Kingsley) and befriends his goddaughter, Isabelle (Chloe Grace Moretz). That’s the children’s-story part. 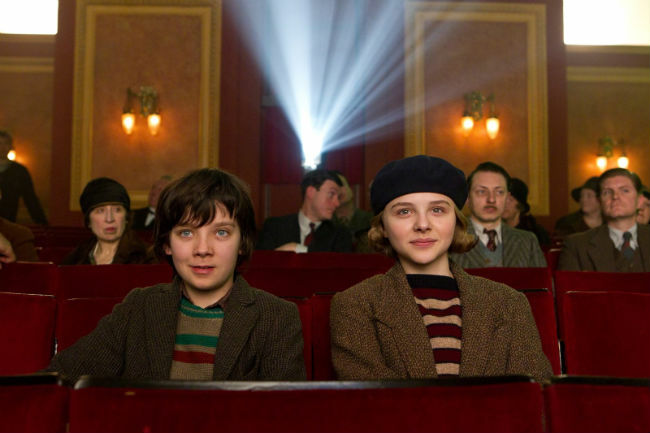 The other half of the story is that before he passed away, Hugo’s father often took him to the movies, instilling in him a love of the cinema that Hugo passes on to Isabelle. When the automaton is fixed (no spoiler there; it’s sort of not the real point of the movie), it draws a picture of a scene from a movie that Hugo remembers seeing as a child. After researching the scene and the movie, the two follow a trail that leads back to Isabelle’s Papa Georges, whose early work has been rediscovered and is now appreciated more than he ever realized. To tell this story, Scorsese uses 3D in the same way the early filmmakers used moving picture technology: To show the world like you’ve never seen it before. It’s the same way the folks at Pixar do, the way they give each image extra depth and character, without being intrusive and showy. That said, with Hugo, you’ll notice the 3D — if only because of the expert way it’s been used. 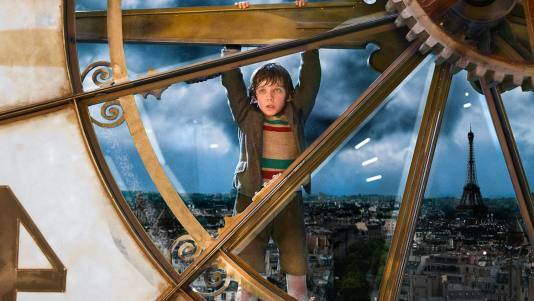 For example, the film begins with a scene-setting, sweeping shot through Paris and through the station that eventually swoops up and captures Hugo looking out through the clock, from the other side of the wall. It’s a stunningly gorgeous image, one with real depth and dimension, the kind that’s replicated (but not duplicated) throughout the movie. Scorsese also pays tribute to one of the earliest films in a scene where a train goes off the tracks and literally drives right through the station, coming right at the audience. It’s awesome. What it comes down to, and there’s really no other way to say it, is that you must see Hugo in 3D. It was made to be seen that way. You can’t possibly get the full effect of the film in 2D. But the really impressive thing is that while Hugo may be a visual feast, it’s also a well made, heartwarming story — especially for anyone who loves movies. Kingsley gives a wonderful performance that’s matched by the wide-eyed innocence of Butterfield and Moretz. As Hugo and Isabelle discover those early films and learn why Papa Georges’ work should be saved and celebrated, we, too, begin to appreciate them. And what person wouldn’t want to be recognized for the work he or she has done, especially if it’s work that was long thought forgotten or worthless? The way Scorsese portrays this is just incredible, recreating the process involved in making those early films (look for him in a quick cameo as a photographer) and giving real insight into why the cinema became such a beloved art form. He humanizes the people behind it all and shows it with a child’s sense of wonder and amazement. You can’t help but be a fan (or a bigger fan) of the movies after seeing Hugo. Sometimes, the only way to recapture our sense of wonder is to see things through the eyes of a child. In Hugo, Martin Scorsese makes us all feel like kids again, as if we’re seeing the movies for the very first time. Hugo is being sold as a children’s movie, but it’s more than that. So much more. Hugois an amazing achievement, a film that should be celebrated for years to come. I’m giving it an A-.